Does 1 Times 1 Equal 2? Terrence Howard is an actor and singer who has been in a number of films and TV series. He was nominated for an Academy Award for his role in the movie Hustle & Flow. 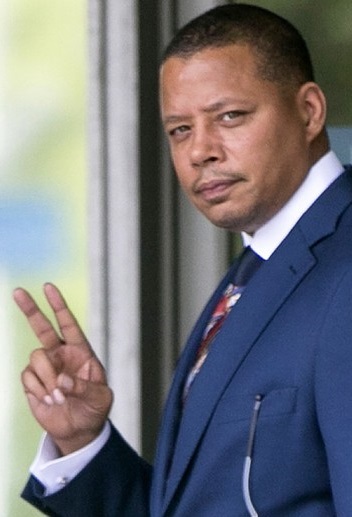 He currently stars in the TV series Empire. Today Ken and I want to talk about his claim that . This is the last century that our children will have to be taught that one times one is one. If Pythagoras was here to see it, he would lose his mind. Einstein too! Tesla! How can it equal one? If one times one equals one that means that two is of no value because one times itself has no effect. One times one equals two because the square root of four is two, so what’s the square root of two? Should be one, but we’re told its two, and that cannot be. No. No we are not. It’s like he hasn’t heard of decimals or something. And it gets even nastier. He was on The View the other day and I must admit that I saw him there. The View, for those not into daytime TV, is a talk show that was created by Barbara Walters and Bill Geddie. It is on each day and has guests such as Howard on fairly often. Howard explained on the show how . The hosts of The View are, of course, not math experts, so they listened politely to Howard and later thanked him for his comments. I have no idea if they believed him or not. But I was shocked to hear that someone had seriously suggested that times anything is not the same thing. Indeed. So I started to write this post above his claim. My plan was to show that his claim led to a contradiction. This would of course show that he was wrong in his claim. But a funny thing happen—I did not get a contradiction. Let me explain. You probably use this property without knowing that you are using it. When a group (let’s say 5 of you) order food, and order the same thing (let’s say you each order a hamburger for $3 each and a coke for $1 each), you can compute the bill (without tax) in two ways. You can figure out how much each of you needs to pay and multiply the sum times the number of you. So, you each pay (3 + 1) and then multiply times 5. That’s 5(3 + 1) = 5(4) = 20. Or, you can figure out how much the 5 hamburgers will cost and the 5 cokes and then find the total. That’s 5(3) + 5(1) = 15 + 5 = 20. Either way, the answer is the same, $20. My only comment is that what world is a burger $3 and a coke $1? Perhaps at some fast food places, but I live in New York City and this off by a large factor. “I don’t know what you mean by ‘glory’,” Alice said. the Howard product of and . Now we could define any way we want—like Humpty Dumpty in Lewis Caroll’s world. In general the operation is commutative, associative, and distributive. The point is that Howard can define product in a new way. His system that has is just fine. It has all the usual basic properties of arithmetic but is really nothing new. Rather than a radical new system of arithmetic his system is just a kind of renormalization of the standard one. It is like changing feet to yards. Ken adds that Howard’s behaves like a parallel complexity measure for multiplication gates. It maps any ring onto the ideal of even elements in the ring—which of course can be the whole ring. Whether it has comparable utility to the idea of the field with one element is anyone’s guess. Beyond the basic operations being the “same” there are some differences in Howard’s . Note that in his system the notion of primes is different from the usual. But I thought I would stop here. Do you think Howard will agree? Is it more useful to point out that Howard’s product is really just our old friend renormalized than to try and argue that he is wrong? What do you think? Your system is not his system since he’s stated that in his system it is still true that 2 times 2 is 4. But what you call the Howard product has 2 times 2 is 8. Yes? If 2 x 2 = 4 then (1+1)x(1+1) = 4 (1×1) = 8 OR the distributive law fails. This would be a major problem. Why not just use f(a,b) = a+b? It’s not distributive, but I doubt Howard will complain. For me I find it much more intuitive to define multiplication as “n copies of m things” (or iterated addition) and then prove the properties you mention (commutativity, associativity, distributivity over addition) as non-obvious consequences of the definition. Starting with properties of the arithmetic operations and then deriving a suitable definition for multiplication is going about it backwards. It suffers from the same problem that much math education does, of drilling rules without explaining the intuitive meaning of _why_ they should be the case–and perhaps contributes to the problems seen in cases such as Howard’s. Case in point: I think that the explanation you linked for why the distributive law should hold is not bad. I think your intuitive definition of multiplication as “n copies of m things” is quite convincing. I think it deals with a set of n sets where each of them has size m. This of course only works with natural numbers. The rules for multiplication e.g. with negative numbers could be justified in the sense that they are at least consistent with the intuitive definition. There are several good ways to intuitively justify the extension of multiplication to negative numbers. One way is to use the definition of the integers (typical in formalized mathematics) as the equivalence classes of differences between natural numbers. This emphasizes how the integers behave as a group under addition, because you can think of an integer as an action that shifts the number line. Then you can define group powering g^i for any integer i (with negative i being equivalent to powering the inverse of g), and get integer multiplication as the result of “powering” the integer addition group. I was amused to read this, as I wrote something once on a rather similar topic. In my case, I was considering whether one could justify the claim that 2+2=5. Something like your renormalization idea made an appearance there too. The discussion can be found on this web page. The relevant part is the first section after the introduction. I’m never sure how tongue-in-cheek these posts are meant to be. But to be as plain-spoken as possible: the “usual rules of arithmetic” are just code for the axioms of a field, and these are not just 3 properties. They also include the identity and inverse properties, which are arguably the more basic ones. So the observation that 1 is the multiplicative identity really comes before establishment of the commutative, associative, or distributive properties. In this sense, if one really wanted to debate with Howard (or similarly confused people, such as my multitudinous remedial math students), I find that looking at the formal progression is more fruitful than one might initially think. For example, looking at the definition of multiplication for natural numbers in the context of the Peano axioms: does he agree that multiplying by 0 should always give a product of 0, or not? The non-silly point is a real-world example the difference between showing inconsistency versus unsoundness for the standard model of arithmetic. By 1 he means 2, look: 2+2=2X2. Amazingly 2X2=2^2. The chain breaks for tetration, but the exponentiation is anyway non-associative. Sure, you can create an operation where 1×1=2, plus some other properties. You can make a consistent theory of it also (for instance our too well known (U,+) 🙂 ). If I understand correctly he is forming a semi-group (N,*), where * his multiplication operation and then assumes an abelian group for addition and asks for * to distribute over +. (I apologize, I did not spend time reading his “paper”, just skimmed the twitter posts and read the comments here). I say that is fine, he has invented a rng. And actually the most common example of it, the even number ideal of a ring, as you point out. I think it is a fine opportunity to post about related topics on algebras lacking or not requiring the identity element on your blog. (E.g. talk about formal languages? Sorry no bright ideas.) I am pretty sure his other statements are inconsistent and would not spend any time on them. If I felt he would follow up, I would suggest we encourage him towards some appropriate resources. Is his initial statement wrong? I think, as you say, he is right. He, however, makes the wrong conclusions and hasn’t done his checks. >> Do you think Howard will agree? Is it more useful to point out that Howard’s product is really just our old friend renormalized than to try and argue that he is wrong? Would think no to both; both the paths in the latter statement might be a waste of time. Thoughts?